Linda and Ryan were married at St. Johns Lutheran Church in downtown, but first we did quite a few photos of them and thier bridal party at UT Gardens and at the church. Linda really wanted to be able to go to her reception right after the ceremony at the Orangery and just have a good time without the pictures in the middle, so we did just that. They took one Tango lesson and did a wonderful job, looked as if they were pros. She also did a swing dance with her father, again - pros! She did change into a dancing dress after the ceremony. What fun everyone had. 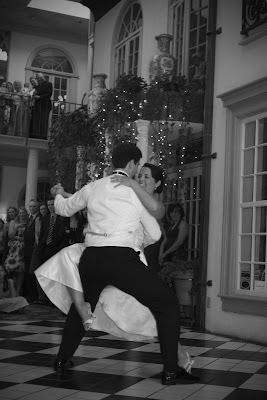 The Orangery is a great place for indoor receptions!